Jonas McDavit is an intellectual property litigation partner at Desmarais LLP, focusing on patent infringement and antitrust litigation. Mr. McDavit has represented and counseled clients in cases involving a broad range of technologies, including computer hardware and software, photoimaging equipment, chemical processes, telecommunications technology, and pharmaceuticals. 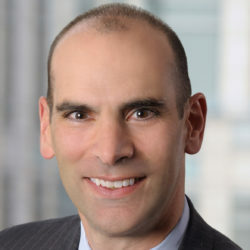 Mr. McDavit has also served as pro bono counsel in a variety of matters including landlord-tenant disputes, Freedom of Information Act litigation, and Department of Veterans Affairs benefits appeals. Prior to joining Desmarais LLP, Mr. McDavit practiced in the Intellectual Property group of Kirkland & Ellis LLP. Mr. McDavit is a former Naval Officer in the Navy Submarine Force and the Navy Reserves, achieving the rank of Lieutenant Commander.